Extensive Avid infrastructure at heart of UCLan’s broadcast journalism courses. UCLan, based in Preston, is one of the largest universities in the country. 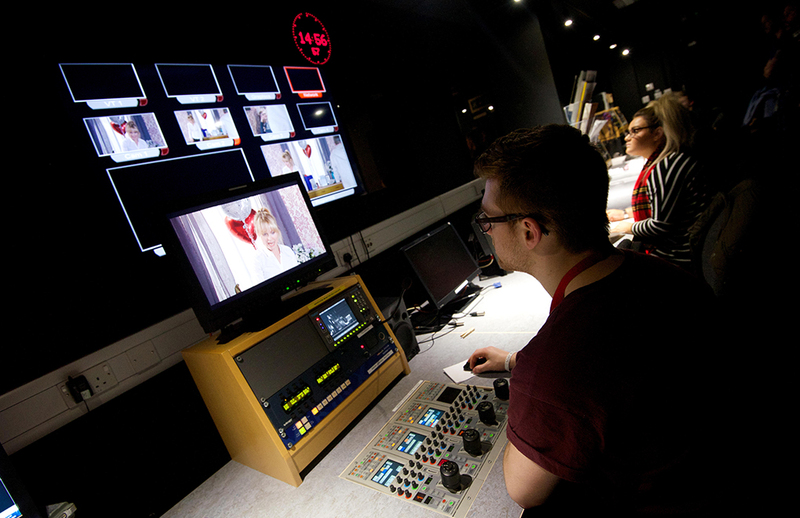 It offers a number of courses that benefit from its Avid system – including MA Broadcast Journalism, BA Journalism, BA Sport Journalism and BA International Journalism – with its Avid systems used by both the traditional broadcast and online elements of these courses. The Avid system at UCLan consists of 64TB Avid shared storage, Interplay, iNews, Command, Airspeed 5500 and MediaCentral. “The workflow begins with the students filming with JVC cameras onto SD cards or by shooting on their mobile phones,” Brian explains. “Material is brought into Media Composer by linking to the media, then in the case of the JVC cameras which shoot in XDCAM, consolidating to a workspace on the shared storage. Mobile phone footage is transcoded to XDCAM and then placed on a workspace. After editing, if the item is for playout in the TV studio, it is associated with an iNews story using the NRCS tool, picking up its Video ID, then transferred to the Airspeed HD. If the item is for online publication, then it is sent to Sorenson Squeeze to be converted to an mp4 file. UCLan is also an Avid Learning Partner for Pro Tools, outside of its journalism courses, which provides the university with direct support from Avid’s product experts and course developers. The ALP programme also offers Avid content, curriculum and certification to aid teaching and learning. For more information about courses at UCLan, please visit www.uclan.ac.uk/courses. The Avid Learning Partner (ALP) programme is designed for the most skilled training organisations in the industry, combining excellent teaching from each partner together with the content, curriculum and certification from Avid’s product experts and course developers. Avid Learning Partners have access to the official Avid curriculum and certification exams, with dedicated programme staff and co-marketing resources to support implementation of Avid training products. For further information, please visit www.avid.com/education/avid-learning-partner-program. (T: +44 (0)7981 472844, E: liz@brill.media).